Another day, another smart device vendor emerges (as a few more disappear). 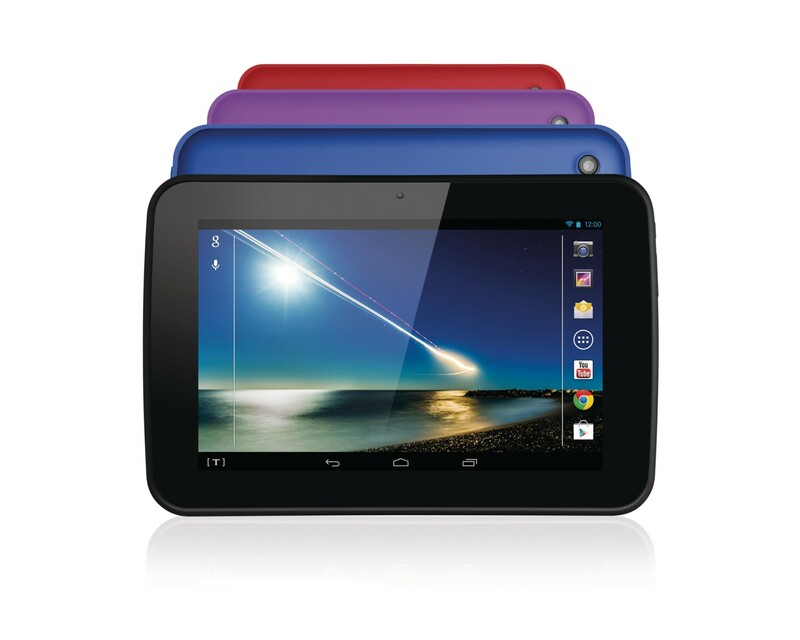 Today Tesco announce that they are throwing themselves into the tablet market with their low-priced Hudl device. The seven-inch Android device goes on sale at the end of the month, and one can only hope that alongside the four colours available at launch, they release a blue-and-white-striped “Value” version for the ironic at a later date. “The daddy” when it comes to tech cool, my take is that since the seconding coming of Jobs at Cupertino, Apple have been a lifestyle brand, retailing premium goods, services and content to the hip and want to be hip (or at least in Apple and Apple’s customer eyes…) Simple product lines, premium prices, and ease of content purchasing (whether initially music, or latterly apps, books, magazines, video and so on), Apple provide a single platform on which to run your digital life. Whilst competing with the likes of Tesco in many ways (around half of the Apple worldwide workforce of c. 60,000 work in Apple Stores), it’s a very different demographic segment from even those that buy “Finest” ranges – think more Waitrose. My hunch is that that purity is becoming somewhat diluted as the post-Jobs company starts to lose the obsessive focus that the former CEO brought to the party. Recent product launches for me show a tendency to be becoming a tech, rather than tech lifestyle, brand. They are starting to focus on product specs a little too much. A company that is very publicly in transition now that the CEO job is up for grabs, and the hard work of integrating the Nokia smartphone business is just beginning. Going from a “software” company to a “devices and services” company is more than just a bit of mission-statement spin. It’s a big transition for both the company itself, and its huge pool of business and consumer customers. Already there are reports that it will become less software-platform (ie Windows) specific when it comes to touch versions of the flagship Office suite, and that is evidence of the changes starting to have an impact. Amazon are a retailer, pure and simple. Everything that they do can be seen through the lens of “how can we sell more things to more customers”, and with the exception of its Web Services business, most of that stuff it sells is other peoples. Kindle is just a mechanism to flog content. And from my own experience, very effective it is too. Google make their money by analysing the data they collect – usually in the form of advertising. Android provides a massive data-gathering opportunity, and the value exchange to consumers is really interesting: often Google’s products are free or nearly free, but what you give up in exchange is your data. It makes the likes of Tesco’s Clubcard look like a shoebox full of index cards by comparison. So, in that context, what of the Hudl? Well, it’s already tied into the Clubcard system by the look of it. And one would imagine that you’ll find Tesco services like BlinkBox pre-installed. Do they have the content deals in place in the UK to take share from the big US players? Well, possibly – Google in particular has found it hard work to get rights deals in place outside of the US in a timely fashion. Do they need a stake in the ground like this to stay relevant against the big players, particularly Amazon? You bet. But it will be interesting to see how they perform in a market where they are serious underdogs rather that the dominant behemoth.